Hi all! 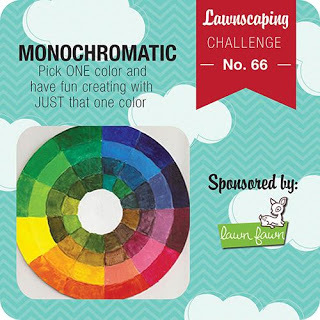 I am a little tardy getting my post up for the latest Lawnscaping Challenge - but I did get it up in the same day - so it counts, right?? This one was a bit of a challenge for me - but I think I handled it well!! What do you all think?? 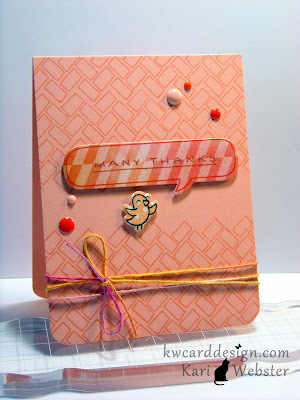 I used one of my favorite back ground building stamps - "Interlocking Backdrops" and stamped it out onto a Crisp Cantaloupe card base using Crisp Cantaloupe ink - I also got out my " A Birdie Told Me" set and stamped the biggest word bubble onto some pattern paper from the "Yes, Please" 6x6 paper pad from Amy Tangerine/AC. My sentiment comes from the "Many Thanks" set from LF. 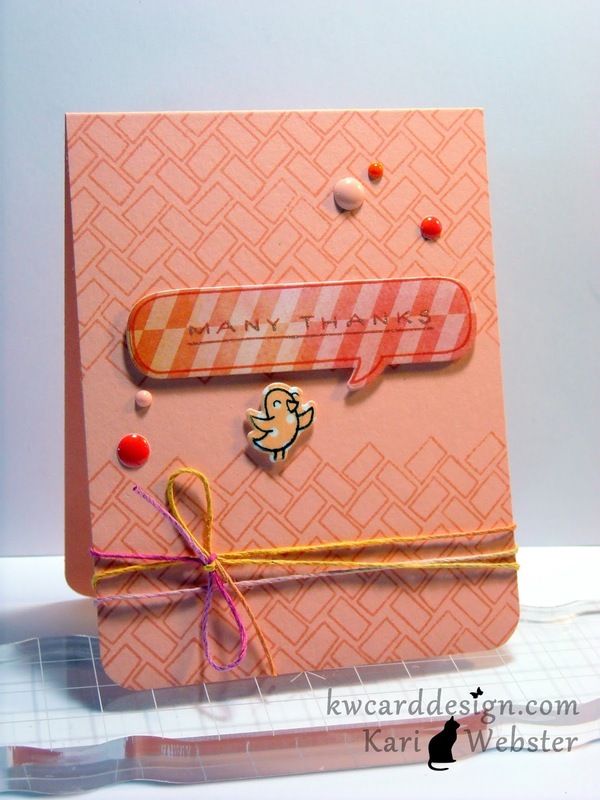 I stamped out that cute little birdie onto a strip of washi of the same color combo that I am trying to achieve and I stamped it using some Staz-On Ink and then used the coordinating die. For some finishing touches, I added some enamel dots and some Lawn Trimmings twine. 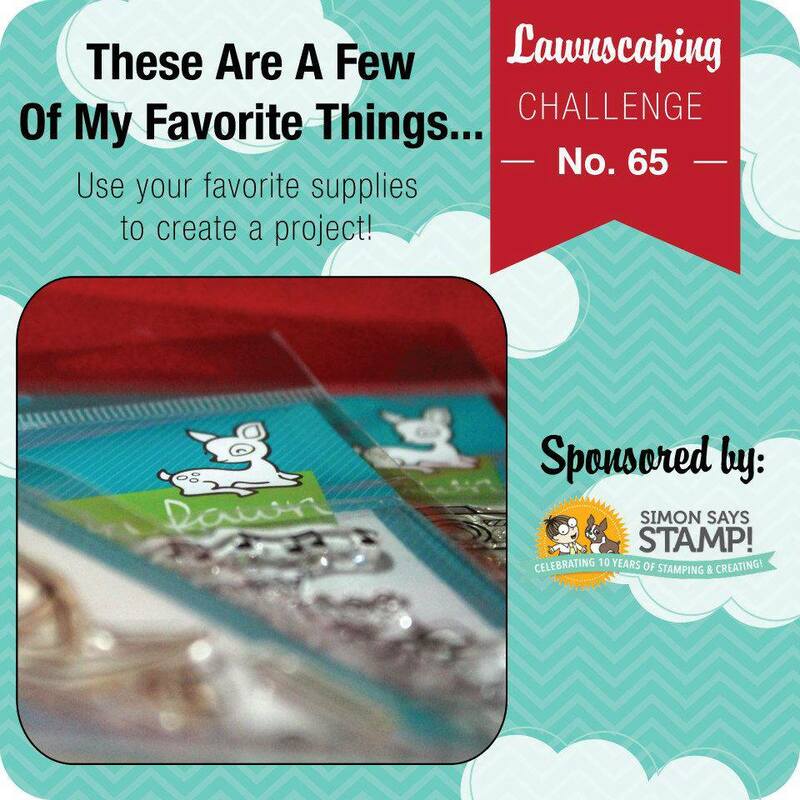 Be sure to take some time out and get crafty with us and submit your projects to this challenge!! There will be some awesome inspiration on the blog with the design team, and also be sure to check in with Facebook and visit Lawnscapings Facebook page for the LF Facebook Inspiration Team's inspiration as well!! See you over at the blog!! Have fun! Happy Weekend, everyone!! For me, it is on the tail end of my vacation - I've been off this past week - and I have enjoyed my time off tremendously!! I really haven't done anything - just a few things around my house, a little shopping, time spent with family and friends - but most - just taking it easy!! I needed the break for sure!! So - I'm popping in today to share with you my latest Haul video! Surprise!!! Happy Birthday Kelly Marie!! Today - we are celebrating Kelly Marie's birthday - I am so delighted and honored to be apart of this wonderful group to help celebrate such a happy day!!!! You should have reached me by the way of the awesome and super sweet Lenny!! 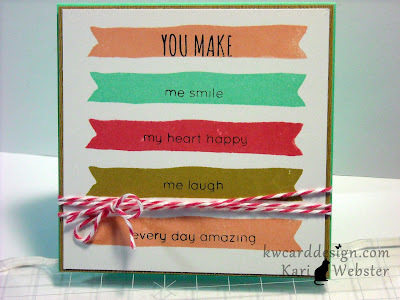 Kelly Marie - here is my card for you! I sure hope you like it!! It seems all the cards I've been making lately, I have to incorporate this awesome teal blue color!! I am obsessed! I believe one of the prettiest color combos is this blue and red together! I started out by die cutting the right side edge of the card base with the new Simon Says Stamp A2 Card Curved Edge Die, and also did the same with the pattern paper from the awesome new "Into The Woods" collection from LF. 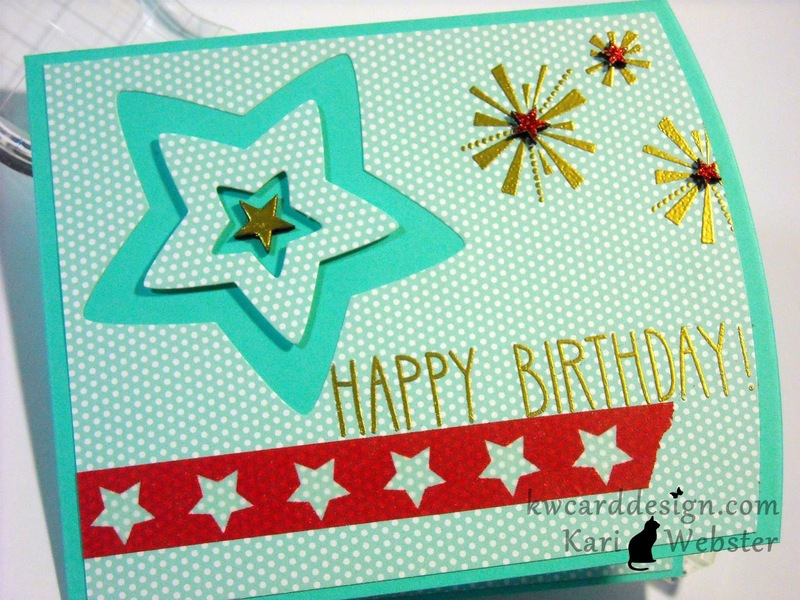 I then die cut some stars in my pattern paper using the LF "Star Stackables Dies". Then, I wanted to add some "glam" to the card ( after all - it is a birthday card!!) - and thought adding gold embossing would be the perfect touch - so I stamped the "bursts" images from the "Happy 4th" set using Versa Mark Ink and heat embossed with gold embossing powder. I did the same with the "Happy Birthday" greeting from "So Much To Say". I added some cute red star washi tape towards the bottom of the card. I love this washi tape because the stars are transparent and you can see the pattern paper through it. 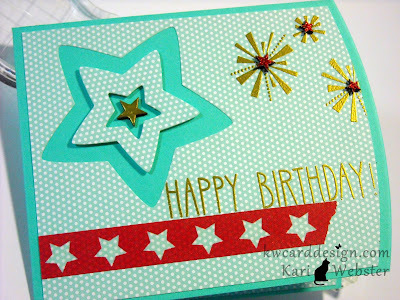 To add dimension to the card - I popped up the middle star die cut, and then I added some wood veneer stars - one in the middle of my cluster of stars and then in the middle of the "bursts". I heated embossed one of the stars in gold - and then added some Christmas Red Stickles to the other three stars to round out the red in the color. Next up to wish you a Happy Birthday Kelly Marie is super sweet and talented Tracy ( another teamie from the Lawnscaping FB Inspiration Team) with her awesome creation!! If you get lost along the way - you can just head back to the beginning over at Tiffany's blog, and it will get you going in the right direction again. 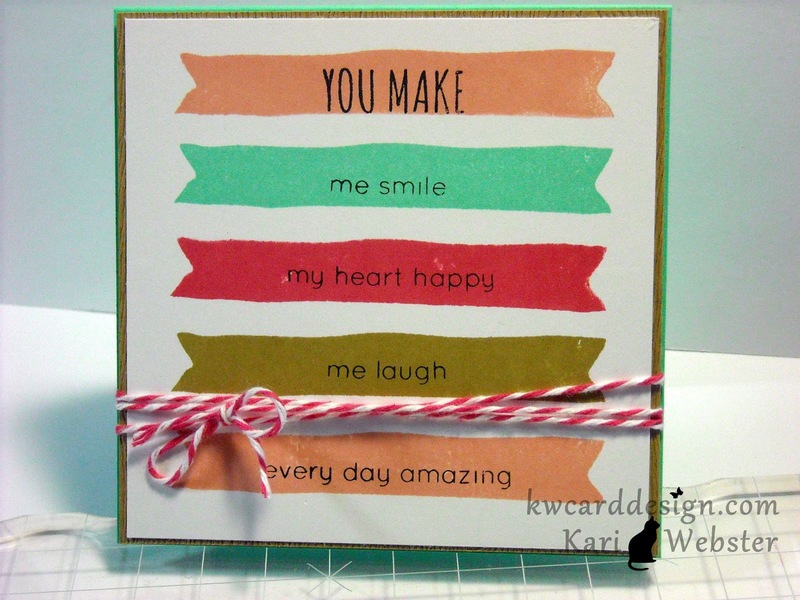 Kelly Marie - I hope this blog hop puts a huge smile on your face! You do so much for so many! You deserve such a happy day - YOUR day!! Happy, Happy Birthday!!! Today - I am here to share a card with you that I made using the Simon Says Stamp set Card Exchanging Friends. I also used the new ink In Colors for 2013-2015 from SU! So pretty - these colors together are so yummy!! So up my alley!! I stamped out one of the banners from the stamp set several times - and I used Crisp Cantaloupe, Coastal Cabana, Strawberry Slush, Baked Brown Sugar, and back to Crisp Cantaloupe. My card is a 4.25 x 4.25 square card. I then wanted for each banner to have a sentiment in it - so I stamped " You Make" in the first banner and then continued down with each different sentiment from the same stamp set. I adhered my stamped panel to a piece of Wood Grain card stock - also from Simon Says Stamp, and then adhered that to a Coastal Cabana card base. To finish off the card and bring in more of the strawberry color - I added to bakers twine that closely matched that color. 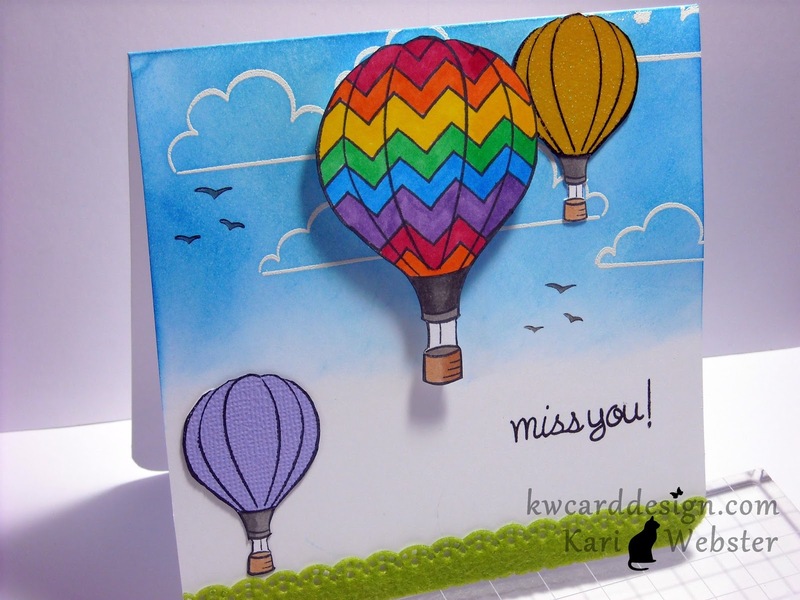 So simple - yet colorful and fun! !